A Different Pond, written by acclaimed poet Bao Phi and illustrated by graphic novelist Thi Bui, is a lyrical, touching story about a father-son fishing trip in the wee hours of the morning. Bao Phi based the story on his own experiences of getting up early to go fishing with his father and reflecting on the future his parents were building for him and his siblings. A young boy wakes up early to go fishing with his father on the shores of a small pond in Minneapolis before work and school. But these fishing trips are never recreational, rather they are essential: catching fish means feeding the family for the day. In between casts, Bao's father tells him about their homeland of Vietnam, crafting an authentic window into the lives of immigrant families attempting to make new homes for themselves while honoring their heritages. 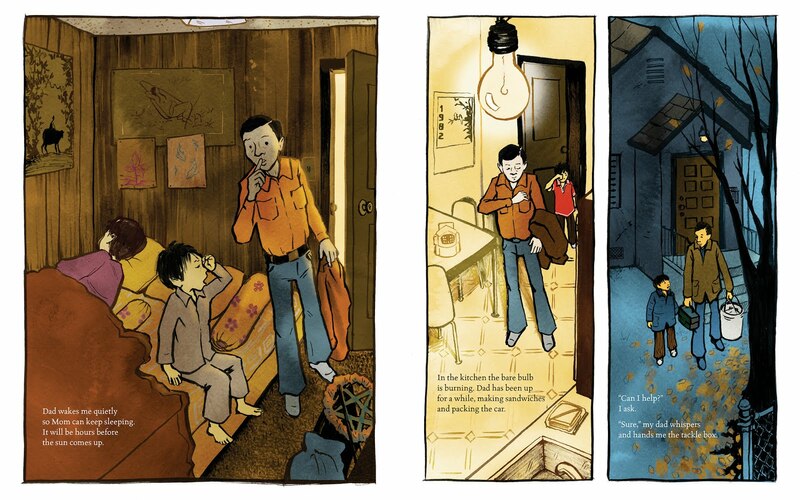 Thu Bui panels the illustrations in the book much like a graphic novels so that readers hop from illustration to illustration in order to follow the story. 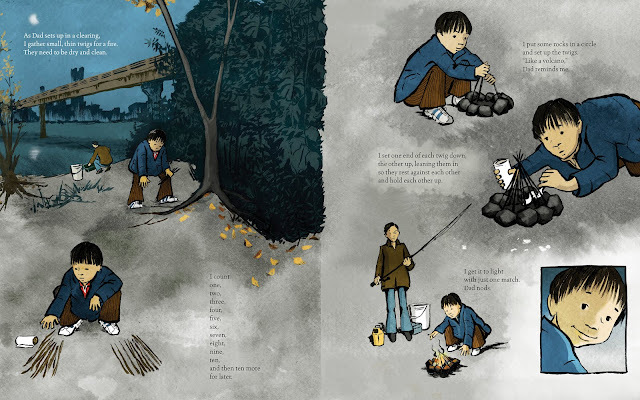 The illustrations are inked, with what looks like gouache coloring, so they hearken back to traditional Vietnamese artwork while still maintaining a vibrant, modern look. The technique is a beautiful visual marriage between fitting in and maintaining tradition, the very two concepts the text explores. 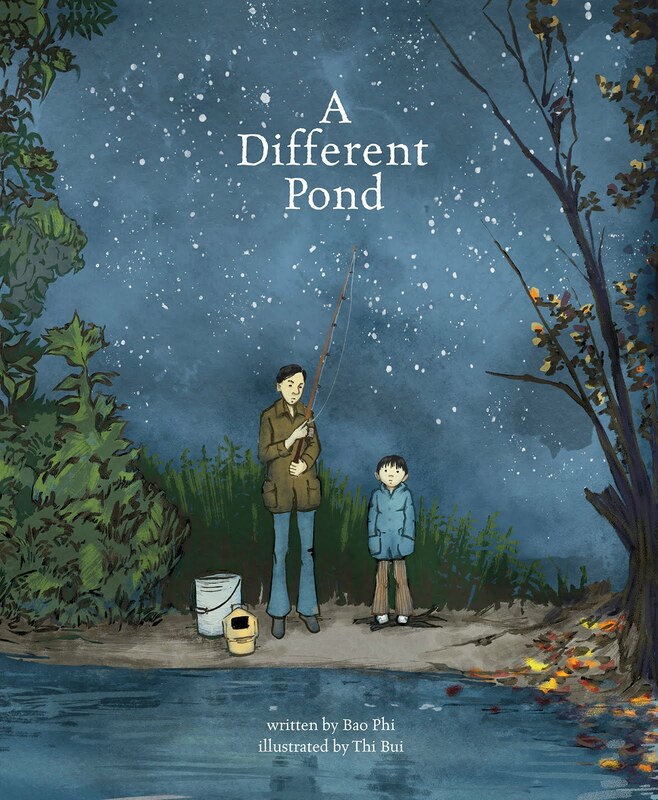 A Different Pond publishes from Capstone Books for Young Readers this August.